The library will be closed on Monday, September 2nd in recognition of Labor Day and will reopen on Tuesday, September 3rd. We will begin Sunday hours (1pm to 5pm) on September 8th. Sunday hours run through late spring. 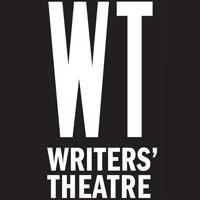 Once again the library is working with Writers Theatre to kickoff the annual From Page to Stage program of events, lectures, demonstrations and performances. On August 22nd, at 7:00 p.m., please join us at Writers Theatre to meet PigPen Theatre Company to discuss the process of bringing The Old Man and The Old Moon to stage. PigPen Associate Artistic Director (and Co-Director of this production) Stuart Carden is the special guest and will talk about how music, stagecraft and puppetry play a role in their unparalleled brand of storytelling. Writers' Theatre is located in the Women's Library Club building at 325 Tudor Ct., in Glencoe. All the events in this program are free and you can find a full list of events here. The date of the meeting of the Board of Trustees in August has been changed to Thursday, August 29th at 7:30. All board meetings take place in the Hammond Room of the library. Before you head out on vacation, make sure you download the library's app! You can see what books you have checked out and renew them, download ebooks and audiobooks, see what events are around the corner and use the BookLook feature to easily check if we have that interesting book that you stumbled upon at the beach house in stock. The library app is free and available for both iOS devices (iPhone and iPad) and Android devices.